The Volkswagen Transporter range cab was launched for the first time in 1950. Since then it was continuously improved and today is one of the most capable commercial vehicles from the market. The model received major style and technical modifications in 2003, to be able to compete with success against models like the Ford Transit or Opel Movano. The most recent upgrade was made in 2010, but most of the changes were made under the bonnet and the overall designed remained mostly the same. 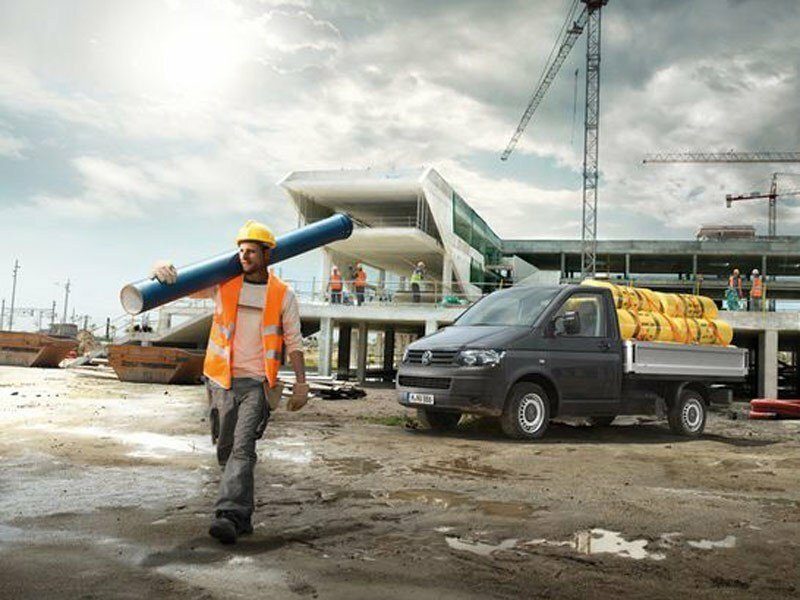 The Volkswagen Transporter chassis cab is available in both long and short wheelbases with either front or all wheel drive configurations and comes with a choice of single or double cabs. With gross vehicle weights between 2.8-3.2 tones the vehicle has a starting price of $20.204 and is available with two diesel engines with maximum outputs, ranging from 85bhp 1.9 TDI to the 174bhp 2.5 TDI. 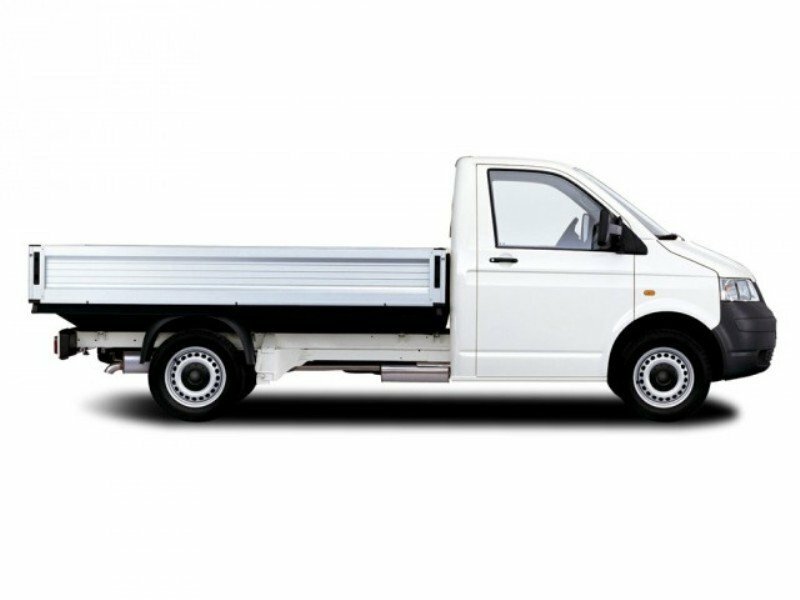 The Volkswagen Transporter chassis cab has a pretty utilitarian design and compared with other models in the segment is starting to look a bit dated. The truck has a conventional cab configuration with a pretty short nose and a tall cabin. At the front we find the typical old Volkswagen grille traversed by two black stripes with the company’s logo in the center. The bumper copes well with the rugged character of the truck and is fitted with two round fog lamps and a central air intake. We especially like the sharp light clusters added in 2010, as they give a dose of dynamism to an otherwise utilitarian design. Thanks to a generous wheel base length and its heavy duty construction the Transporter chassis cab allows you to custom fit a tray of virtually any shape or size to suit your work needs. 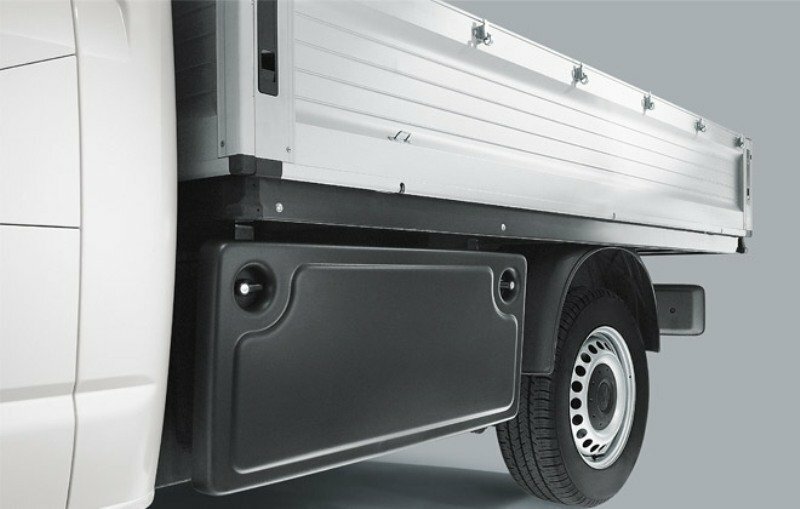 The chassis cab model can be converted into tippers, boxes, dropsides or even refrigerated bodies. Thanks to a relatively low ground clearance, access inside is made fairly easy. 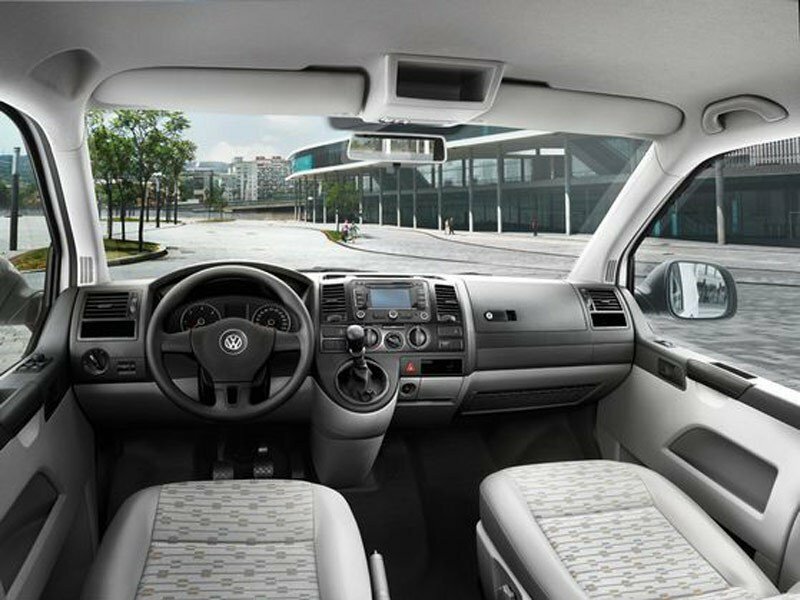 Once inside, you’ll find one of the best finished interiors in the commercial vehicle segment. We love the dashboard design and also the materials which are with a class over the competition. All the switches and controls were recently upgraded and also have a logical layout. The instrument cluster is one of the most attractive units in its class and its gauges glare in red and white colors which give the cabin a touch of sportiness. The audio system is also new and received neater buttons which give it a more upmarket feel than the previous one. The gear lever pops out from the dashboard and while is ergonomically placed and comes easy into hand, is located right in front of the HVAC controls making them inconvenient to use. The multifunctional steering wheel is completely new and we absolutely love its design and dimensions as is one of the best units in the business. It can also be adjusted for height and rake, but the door mirrors are available only with manual adjustments. We don’t have any complains about the seats either, as they offer proper comfort even for long journeys and they also can be configured according to your wishes as they can be adjusted for height, lumbar, reach and rake. We also like the all round visibility which is enhanced by the high riving position, the huge windshield and the short nose. The front doors are fitted with two useful storage pockets, while the dashboard has a slide out ashtray with power outlet and 2 cup/bottle holders and a generous glove box located in front of the passenger. The list of optional features includes sat nav, reversing camera, leather steering wheel and gear knob, fixed bulkheads, electric windows and air conditioning. The Volkswagen Transporter chassis cab range is now offered with a choice of three 2.0-litre turbo-diesel units delivering 84hp, 102hp and 140hp outputs. Compared to the previous engines, the new units offer more power and torque earlier in the rev range and a smaller turbo lag. Volkswagen says that their fuel economy was also improved with up to 16 % and the 140 hp engine has a fuel consumption of only 7.8L/100km. The 84 and 102bhp versions are mated on a five-speed gearbox that offers a sharp response and smooth gear changes. The transmission has a smart setup and copes well with the utilitarian nature of the vehicle, being also pretty easy to use around town. 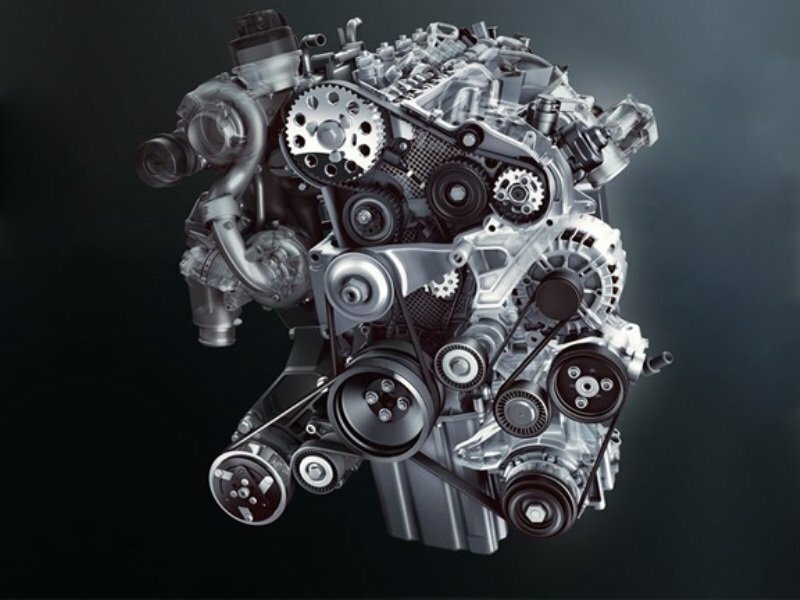 The 140 hp twin turbocharged engine is combined with a six speed gearbox which offers good fuel efficiency and has the same refined performances as the 5 speed unit. This engine can be also equipped with Volkswagen’s DSG automatic transmission and the capable 4Motion four wheel drive system. The Volkswagen Transporter chassis cab has a well balanced ride with and a surprisingly quiet cabin. The suspensions can absorb most of the potholes with ease even when there isn’t any load at the back. When the vehicle is fully loaded the ride gets even better and the body roll gets significantly smaller when cornering. We don’t have any complains about the power assisted steering either, as it offers precise turnings and despite the fact that is a bit too light, it offers an adequate road feedback and permits you to drive the vehicle pretty easy around town. The Transporter chassis cab is also pretty good represented in the safety department including features like parking sensors, anti-lock brakes, a driver’s airbag, an anti-theft system, engine brake control, electronic brake force distribution, rear fog lights, headlight range control and a traction control system. The Volkswagen Transporter is one of the best chassis cab models in the business. The vehicle has a strong build quality and is reliable to the core. The cabin is also a comfortable place to be in, as the materials are better than what you’ll usually find in this segment. We also like the modern steering wheel and the overall ergonomy. The engines are strong, reliable and efficient, while the ride is at par with the rest of the vehicles in this class. Its main faults however, are the expensive price and the exterior design which is starting to look dated.